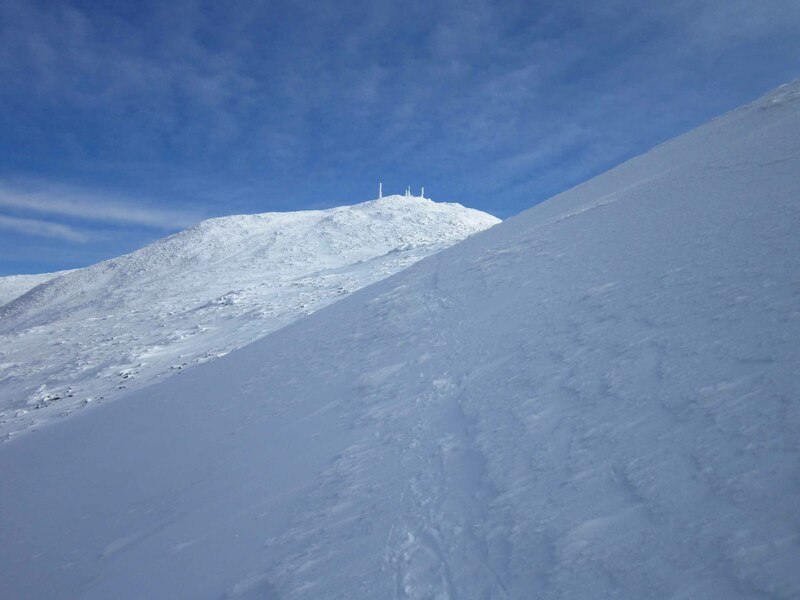 After great weather on Mansfield, I decided to do a second hike on the drive back. 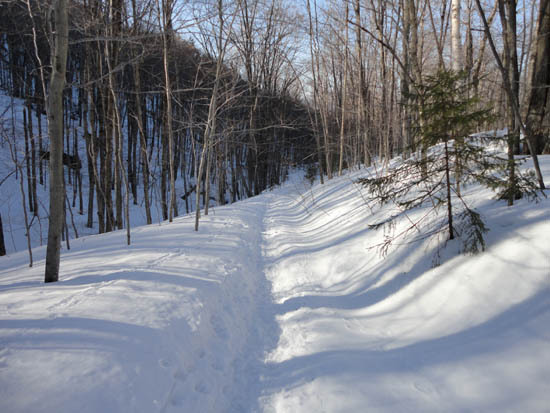 Starting at the plowed parking lot off Beach Road, I snowshoed up the access road to the summer hiking trailheads. 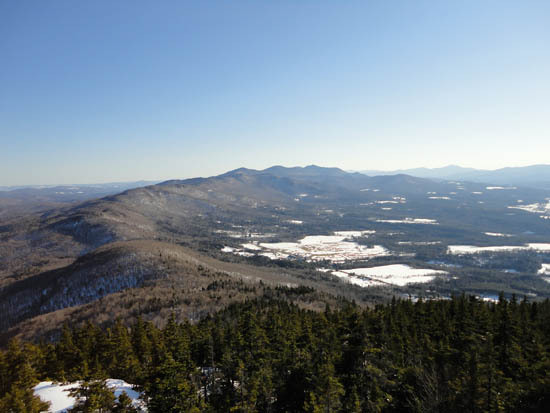 From there, the Elmore Mountain Trail was a roadwalk for awhile, until finally turning off and heading into the woods. After passing near the old fire warden's cabin clearing (good views), the trail quickly steepened up as it climbed up to the ridge. From there, it was a short walk to the tower. While there were no views from the ground (though it looked like there could be a few ledges nearby), the fire tower offered a 360 degree vista, ranging from the Presidentials to Jay Peak to Mt. Mansfield. 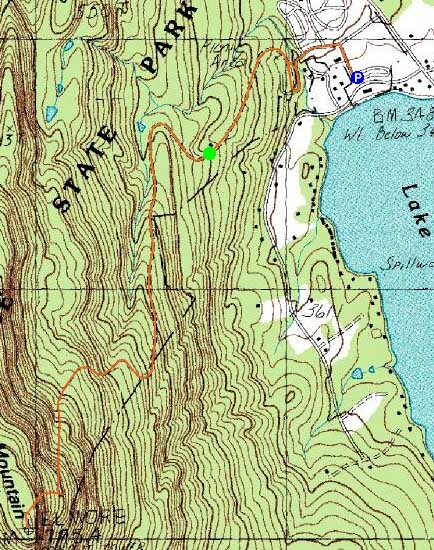 Directions to trailhead: From Morrisville, Vermont, take Route 12 south. 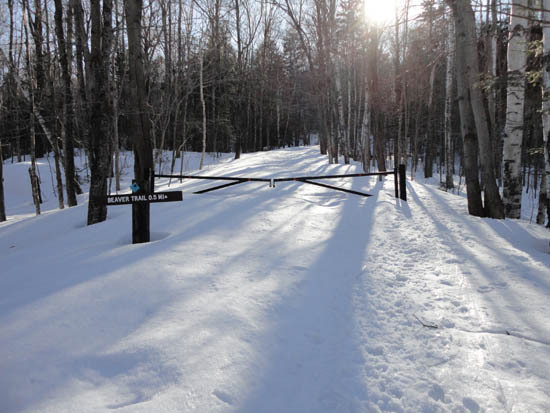 In the winter months, the Elmore State Park entrance is closed. Alomst immediately thereafter, Beach Road is on the right. Just down Beach Road on the right, there is a plowed parking area. Continue on foot from this parking area into the park, then take a left and follow the signs up the access road to the summer trailhead.